noun: a situation requiring a choice between equally undesirable alternatives. How When do you decide to not share a recipe? When is a recipe such a family treasure that you just can’t imagine that it is to be given away to the world (or in my case, the three people who might read this blog)? It is a traitorous thing to do or is it a gift. I am seriously conflicted about this. I have two recipes that I make because they are so much a part of my family tradition. Banana Nut Bread which my mom made every Christmas – she really had an assembly line for this because it was a gift for all her friends and very much appreciated. We had toasted banana nut bread with butter for Christmas day morning breakfast – it’s just so damn special. So do I share? 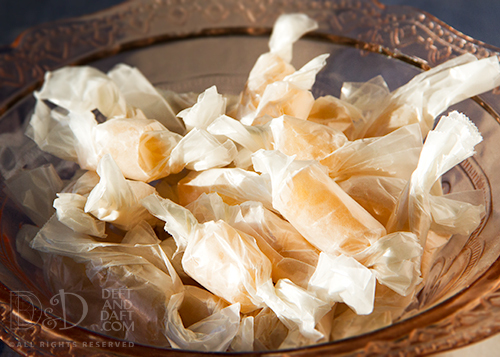 The other is my grandmother’s (my mom’s mom) recipe for vanilla taffy. It is everything to me, but I just can’t decide if I want other people making it. Is that weird? Probably. I know some people hold on to recipes and don’t share. Now, I think I understand that. But it is still strange. I want to share, but then again, I just don’t want to either. More thinking on this will be involved. I’m still conflicted, but maybe that’s a good thing.